Team Drives is now available to G Suite for Nonprofits customers, in addition to G Suite Business, Education, and Enterprise customers as previously stated. 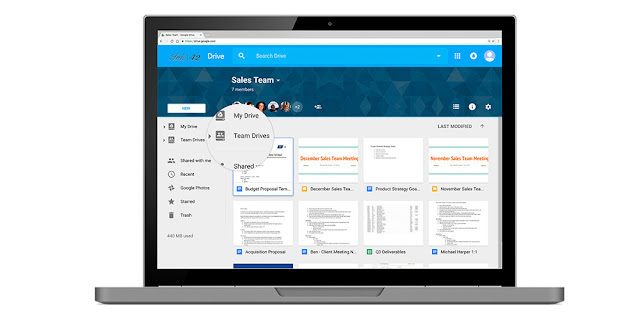 Team Drives are generally available to all of our G Suite Business, Education, Nonprofits, and Enterprise customers starting today. Set up Team Drives for your organization. 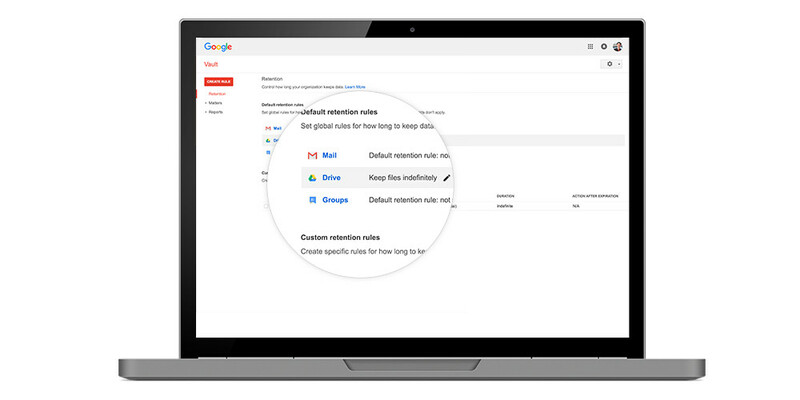 NOTE: We plan to automatically enable Team Drives creation for all eligible G Suite customers no earlier than January 1st, 2018. We will update you in advance of that change. The new Google Vault for Drive capabilities give admins the governance controls they need to manage and secure all their files, both in employee Drives as well as in Team Drives. These new features let admins set retention policies that automatically keep what they need and get rid of what they don't. For example, you might need to place a legal hold on files that are critical to a certain legal case. See our dedicated post for more information about the Vault for Drive features launching today. Migrating to the cloud can be complex. It's not just your files that need to be moved; permissions also need to map correctly; content likely needs to be reorganized, and some data probably needs to be archived. To address that challenge, today we are announcing the acquisition of AppBridge, an enterprise-grade, G Suite migration tool that helps organizations seamlessly migrate from their on-prem, cloud-based and hybrid solutions to Google Drive. With AppBridge, your organization can migrate files effortlessly to G Suite from your existing file servers or content management systems like SharePoint, or from many other cloud platforms you might be using. File permissions are also brought over when you migrate, which means your team's file access remains unchanged and your data stays safe. We’re working together with AppBridge to bring them into the G Suite team. Stay tuned for more information in the near future. After you migrate to the cloud, you should be able to easily access all your content using your existing tools and processes. While other cloud-based solutions use traditional, time-consuming (and hard drive-consuming) syncs, Drive File Stream, now available in the Early Adopter Program (EAP), allows teams to quickly stream files directly from the cloud to their computer. This means that all of your company data can be accessed directly from your laptop, even if you don’t have much space left on your hard drive. 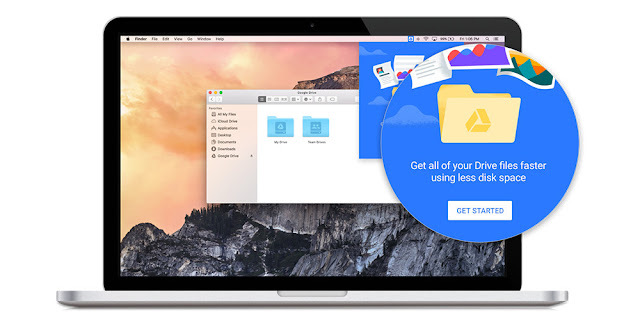 Say goodbye to time-consuming file syncing and any concerns about disk space. With Drive File Stream, all your files are always ready for you and your colleagues. Sign up for the EAP of Drive File Stream today. Available in the Drive Android app since September, Quick Access can now be used on iOS devices as well. With these powerful new enterprise additions to Drive, you have the tools your employees need to execute on big ideas while you maintain the control your organization needs to keep your data safe. 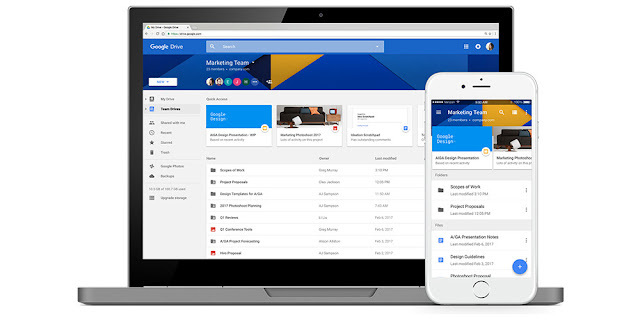 Get started on Google Drive today or contact a sales representative to learn more.